Welcome, Rosemary Smith… Can you tell me a little about yourself? 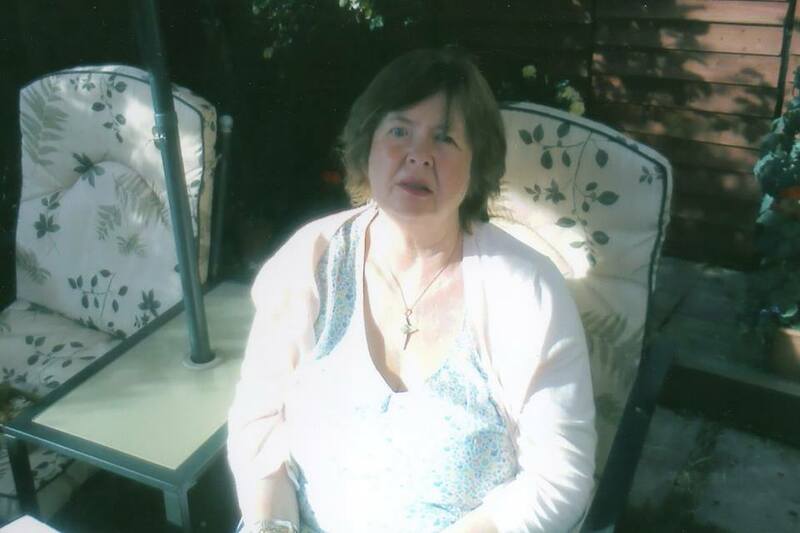 I’m 68 years old, live in Devon, and didn’t start writing until I was 57 after having a brain tumour removed. My neurosurgeon advised me to keep my brain active, but don’t think it was quite what he had in mind! I was born in London, and my stepfather moved us to Devon in 1959. It is home to me. I’ve written 7 romantic suspense novellas. First for DC Thomson, and then they went into large print with Ulverscroft. 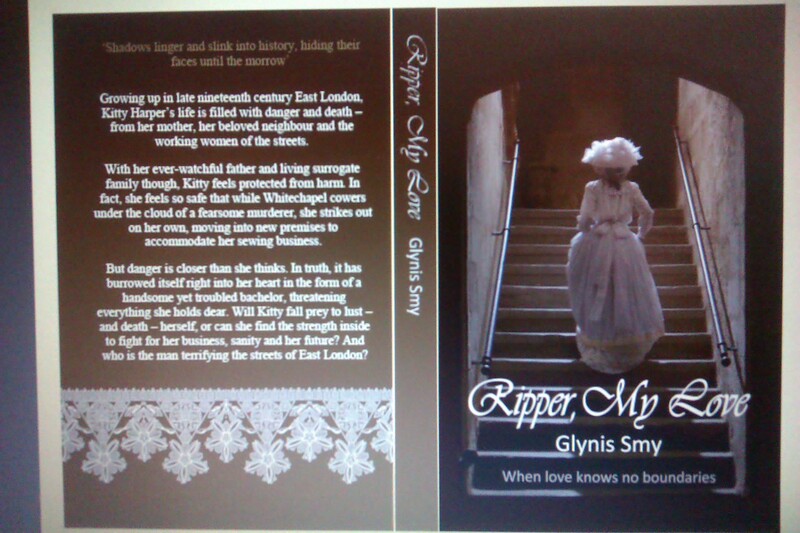 And so far 4 are on kindle with Endeavour Press. I’m an incurable romantic, and have a lively imagination. I wrote under the name Rosemary A Smith, but the kindle books are under just Rosemary Smith. I am a member of the romantic Novelists Association, and have a lot to do with fundraising for our Chapel which was built in 1719. We have 3 daughters, one sadly deceased. 8 grandchildren and 2 great grandsons. And a dog called Alfie. The first story I wrote was ‘The Amethyst Brooch’. It took me 2 years to write by hand. A friend typed it up, and said I should send it somewhere. The story was set in Cornwall in the late 19th Century. And I was lucky enough to have it accepted by DC Thomson. I was inspired by the rugged beauty of Cornwall. My love of old houses. My love of romance, and of mystery, and of beautiful dresses. Also the sea, which is one of my favourite things. The thing I love about writing my stories, is escaping into another world in the past. And I really enjoy the research. Sometimes I can spend a few hours reading up on Victorian Society, clothes etc. I also like to think that people are going to enjoy what I’ve written. I love writing. My newest book is a time slip story. Set between the 19th century in Scotland, and the 18th Century in Devon and Ireland. I’ve not tried a time slip before. It’s about a young woman who wakes up in a castle in the Highlands of Scotland, not knowing who she is, or why she is there. Also about a young woman banished to a Convent in Ireland for falling in love. I’ve really enjoyed writing this story, but have yet to send it to a publisher. I’m still deliberating where to send it! The story just popped into my mind, as stories always do. I started in Ireland, then added the Scotland aspect of the story. The title usually comes to me first, and I work the story around it. Names are always important, and I get to know my characters quite well. Hate leaving them when the work is complete! Victorian Romantic suspense. Romance, mystery, history in a beautiful setting. I’m not working on anything new at present, although I have bursts of inspiration. Life has been quite hectic lately. But I will get back to it. The only thing I would say to aspiring writers is, get it on paper. I was lucky, they can be too. And don’t give up. I write better in the evening, or early hours. Not necessarily every day. I get spurts of writing for days. I don’t have a routine. I usually go back over chapters at regular intervals, and edit quite often. It is when I read things back that I see mistakes, and the potential for additional sentences and paragraphs. I never leave it until the end, I edit regularly. The thing I most like about writing is making up a story which hopefully people will enjoy. I always have the reader in my mind when writing. Four titles are available on Amazon on kindle under the name Rosemary Smith. The latest title on kindle is ‘A Strange Affair’. I can be found on Amazon Authors section under the name Rosemary A Smith. I don’t have a website. Libraries: People can find my seven novellas in the large print section of libraries all across the UK, and I know they are in Australia and New Zealand too. I would just like to say to my readers, that I write in the Victorian Era because I feel I’ve lived there, and have no trouble imagining the clothes and old houses I write about. 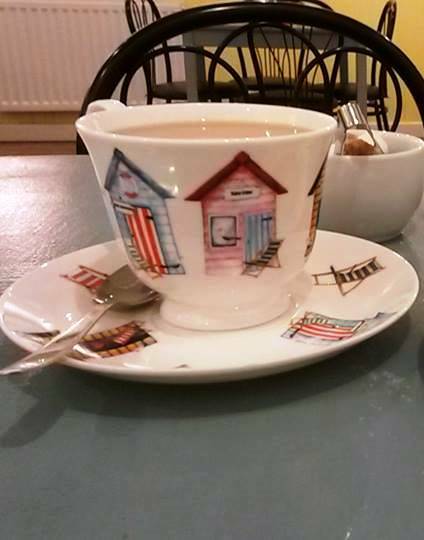 I live in the coastal town of Dovercourt, Essex, with my husband and mother. We have three adult children, one in Canada, and two in Essex. Our adorable granddaughter keeps us on our toes, and look forward to another arriving in February 2015. I enjoy card making for charity, fishing, cross stitch, and of course, writing. 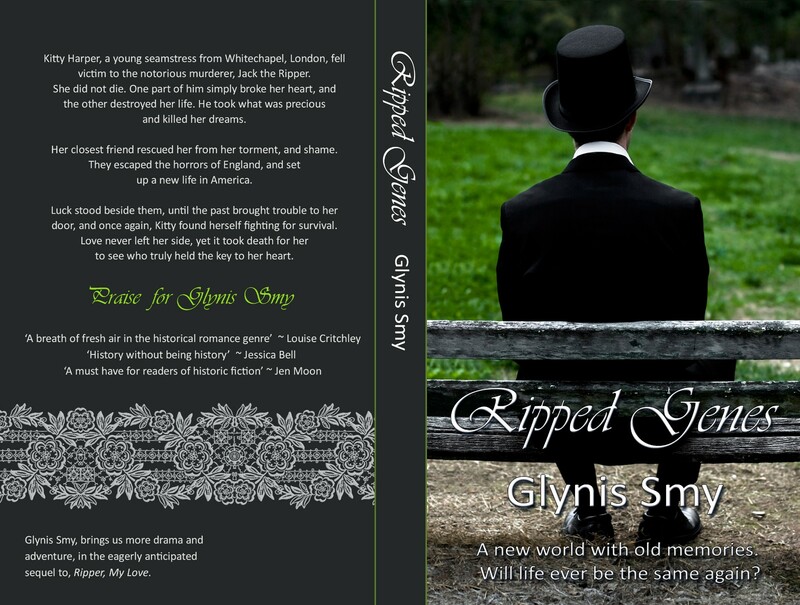 It was Ripper, My Love, a romance suspense in the Victorian era. I would like to say Jack the Ripper, but it was more of a statement made than the person. Someone said what an evil person he/she had been. I replied that somebody loved them once, and that was it, the idea kicked in for a short story but a novel developed. Why? Because I love it, and there are characters in my head I cannot shut up at night. They force me to scribble down words at a frantic pace! The Penny Portrait is due for release December 2014. It is based in my hometown, although I started writing it in Cyprus (where I lived for eight years until 2013). My favourite place to walk is along the rough coastal paths of the beach, and it holds fond memories of my father who passed two years ago. Through various friendships she is able to follow her love of art and earn from her skill. 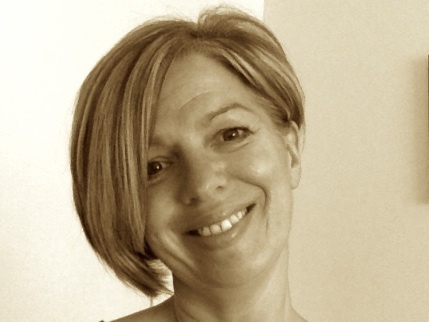 Under the guidance of Angus Argyle, a local art tutor, she thrives. His sharp eye spots a charcoal drawing in her portfolio, and knows the naked man Elle etched. She tells of how they met, and Angus sells the drawing on to its model with the promise that they would say nothing. 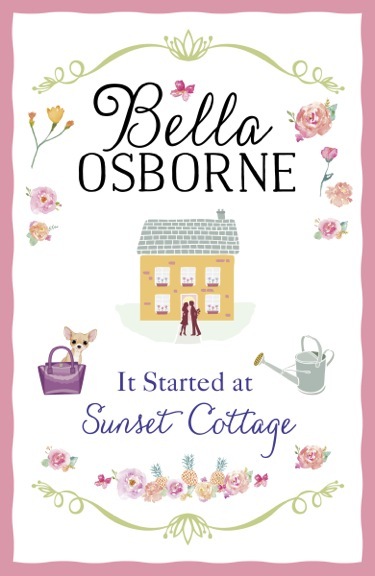 Will Elle have to give up her dream for love, or will love find a way into her life? Dad had Alzheimer’s and I sat reminiscing about my childhood walks with him, and I wanted to capture the feeling of abandonment that the disease gave me when it took him from me. He saved me from the tidal dikes one day, and became my hero as he carried me on his back across the rushing waters. I met my husband in the same town, and we walked there as young lovers, I wanted to capture the romance, angst, and emotional patterns of young love. I played there with my best friend who died twenty years ago, and during the reflective moments, that was the place my mind took me, so I tried to capture friendship and loss. I really cannot think why I chose art as my character’s pathway in life, I cannot paint to save my life! So all in all the story is a plot of emotions based upon my inner-self, about a place that some see as desolate but I see it as a giver of life. Benefits are of achieving a dream. Pocket money if you sell enough for profit, and the sense of satisfaction a reader has enjoyed your work. Challenges? Editing, marketing – the other side of writing. No, I am not a group person. I attended one once but felt so inadequate I couldn’t return. Yes, I have a couple of fab beta readers. 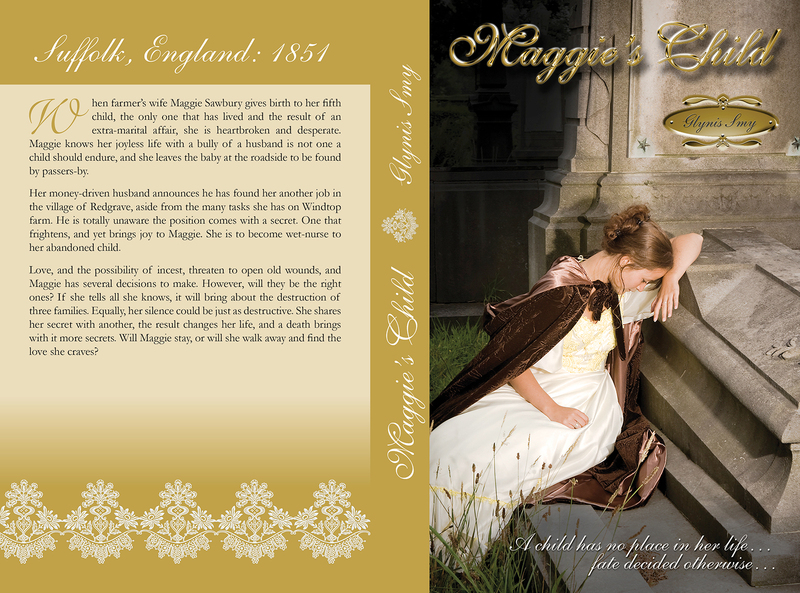 My novel Maggie’s Child, has captured the imagination of a few readers and I received emails and messages wondering if there would be more about Maggie’s life. So, I am in the process of attempting a family saga. A BIG challenge! Go for it, grab that pen and follow your dream. Build a presence on the Internet, learn from others, and do not be put off by those who have received rejections from publishers and agents. Self-publish, and carry on enjoying the dream! Grab time when I can. I no longer have the luxury of all day to myself, I literally have to grab moments, so there is no longer a routine. I read on computer – edit x3. I download to Kindle and read as a book (amazing how many glaring errors are found this way). There is nothing I dislike, I enjoy the whole process – except marketing but that isn’t writing to me. At first it wasn’t something I focused upon, I just enjoyed my books for my own personal satisfaction. Slowly readers began to want more from me, and it became a need to share situation. My ego now loves sharing! You were shortlisted for an award recently. Can you tell us all about it and how you felt etc? When my book Maggie’s Child, reached the second round of the Amazon Breakthrough Novel Award, I thought Christmas had arrived early. It was a true ego boost. I found courage to submit the book to the Festival of Romance New Talent scheme, and to my surprise and joy I found my name on the shortlist! This has instilled new courage and inspired me to keep writing. To know I now have ‘street cred’ within the writing community is thrilling. Amazon stores online are where my books are based at the moment. Although I do have plans to have paperbacks in independent bookstores in the future. I would also love them to be in libraries in the UK. If folk are interested they can sign up for my newsletter. It is sent out four times a year unless I have extra news to share. Thank you, Glynis, it’s been lovely meeting you again, and good luck with your next book, The Penny Portrait, which is due for release December 2014. I’m Penny Mayhew, but I write in the name of Penny Canvin, which is my maiden name. There’s two reasons for me having a pen name: firstly, I want to distinguish myself from non-fiction that I write within my job role (I’m a Training Consultant) and secondly, I started writing when I was a Canvin and so it just felt right to keep doing so. I’m from a village just outside Milton Keynes called Deanshanger, although we’re actually in Northamptonshire, and have been here virtually my whole life, now living with my husband, daughter, one dog, two cats and a couple of frogs in the pond. I’m lucky to have two creative parents, although neither are writers. My mother has always ‘made things’, from sewing through to card making whereas my father is probably the best ‘storyteller’ I’ve ever known. He has so many tales from his past that have an audience completely captivated. So, they’ve both inspired me. With my script writing, I’ve been inspired by TV and Film writers such as John Sullivan, Richard Curtis, Jimmy Perry, David Croft, Ray Galton and Alan Simpson. And with my novel writing, I’m inspired by so many authors, it would be so difficult to name them all. I’ve been lucky to meet many people within the Milton Keynes creative community and all of them have inspired me. I’m a daydreamer and so, when writing a story, it’s the only time I can actually get away with doing it without being told by someone to stop wasting time and concentrate! I love making up characters and situations, going into a fictitious world where anything can happen, inventing people that are so different to me so that I can experience new and unfamiliar situations and emotions. Also, when writing my new book, it was set in a favourite place of mine and so I had months of feeling as though I was there, in the sunshine. It actually helped me get through last winter – I struggle with winter, more so as each year passes, and it was the first time that the colder and dark months passed for me virtually unnoticed. 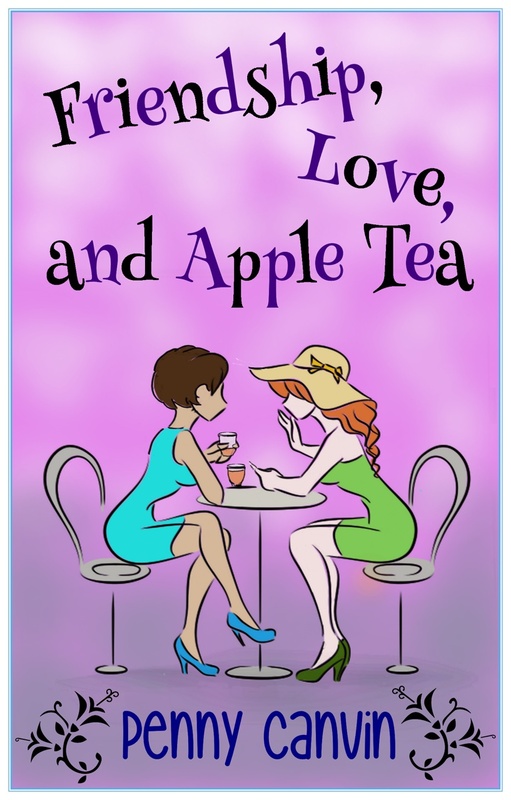 This is actually my first novel, and it’s called ‘Friendship, Love and Apple Tea’. It’s set predominantly in Turkey, around the Marmaris and Içmeler area, and involves a character called Lou who goes over to Turkey to visit her best friend Libby who left to work there as a Holiday Rep over a year before. Lou is in a bad relationship that she wants to get out of, and so she looks forward to the break so she can sort out her life. But it doesn’t work out quite as planned. I knew I wanted to set a story in Turkey, as it’s somewhere that my family and I have visited many times and is a special place for us. I also knew that I wanted to base it around a close friendship. As with my script writing, all of my ideas actually come from the characters themselves. So, I created character profiles for the five main characters and the plot came from that. It changed quite a bit from the first ideas, but the characters led the story all the way through. The book is a romantic comedy/chick-lit. I find it hard to write serious ‘stuff’. In the past, I’ve worked in some very serious jobs which have provided excellent research should I want to write crime fiction, thrillers etc (I was a Coroner’s Officer once…), but I just can’t write seriously at all. Maybe one day. I’m starting my second novel. This one is set on a cruise and I’m letting the characters create the plot for me at the moment… who knows what will happen? I also want to write a full-length play that I have the plot in place for. I’m working on a TV Sitcom which I’ve had in my head for years. And I’ve been writing for a few years with a co-writer called Ruth McCracken, creating a radio sitcom, and we hope that one day we’ll hear it on Radio 4. This sounds very obvious but, the only way to write is to write… I talked about becoming a writer for years and years. I bought the magazines, the nice notepads and pens, a range of books on ‘how to write’. Yet, each New Years Eve, I’d sit and reflect on the year that had passed and say ‘I still haven’t had anything published’. Why? Because I hadn’t actually written a complete piece of anything. I whinged to a local author about a year ago and said ‘How will I ever write? I work full time, I’m a mum, I’ve so little spare time, it’s never going to work… etc etc’. And she basically said, “Stop moaning about it and write. The book is never going to write itself for you”. And, she was right, and so I did. It’s the only way. I also think that joining a Writer’s Group really changed things for me. I suddenly had two hours a week where I could put myself first and write and share, surrounded by like-minded people whilst learning the theory behind writing. I have no routine whatsoever. Because I work full time (self-employed), I write if and when I have the chance to. This could be on the train, in bed, sat on the sofa whilst half-watching Casualty… I just take my chances where I can. Once I’ve researched and got my plot sorted out, I write the first draft with a digital pen. This means that I can write anywhere, without needing my laptop (which is difficult on a packed commuter train) and then convert it straight into a word document for the editing. This has helped me a lot. I edit, and edit, and edit… it’s an area that I really need to work on as I waste a lot of time doing it, without a proper process. I edit via track changes and find that, when I go through each, I sometimes change it back to how it was. And then back again. And then back again… Part of my problem is that I need to put more planning into my first draft before jumping straight into it. So, I’m looking forward to trying it differently with my next novel. Once I’d got the book into a reasonable state, what really helped was that I had a very close friend read it to give me feedback, as I knew she’d be very honest. This friend is also illustrating the front cover. My husband read it too, which surprised me, as it’s not a genre he would normally read, and he gave me some typo edits to do, which was very useful. The bit I enjoy least is editing…! It’s the reading over and over that I struggle with, as I’m one of those people that gets easily bored and I just want to get onto the next project. I become a teenager again, having to revise for exams and feeling the need to tell everyone how boring it is, whilst huffing and puffing and sulking! I give huge woops of joy when I get to the end of editing. The bit I like most is the first stages, when I’m plotting and suddenly find that the characters are telling me the direction they want to go in, and the story starts to form. As this is my first novel, I’m not too sure…I’m excited by the fact that it’s suddenly going to be read, but I’m at a stage where I don’t know how well it’s going to be received, and so I’m quite apprehensive about sharing it. I do want to write, and to publish books, and so I know that sharing is an essential part of that. I just haven’t yet reached a position where I know how that feels and can be comfortable with it. I’m hoping it’s going to be enjoyable…! I’m publishing my book through the Kindle Direct Publishing scheme initially, and so it can be found there for downloading to an e-reader. And, if someone hasn’t got an e-reader, they can read it on other devices, and also their phones, tablets, a laptop or computer. Links can be found at the bottom of this interview. I have a website, www.pennycanvin.com, and a blog (also shown through the website, but can be viewed directly by going to www.pennycanvin.wordpress.com). I’m just so grateful at how supportive the writing community is. So many published authors have offered me support and advice, and have really helped me to keep going when writing this first book. I’m excited that I’ve a finished product to share with the world and am looking forward to receiving feedback, whatever that may be, and to go on to write my next one, and to work on my other projects. Where can people buy this lovely book? Thank you for a lovely interview Penny. I have really enjoyed it. Suzan.